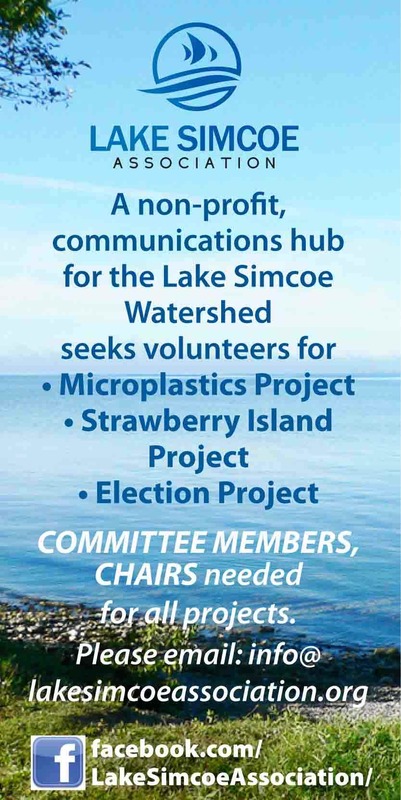 Lake Simcoe Region Conservation Authority has renewed its commitment to a thriving environment and to working to protect and restore the Lake Simcoe Watershed. This came with the release of its new Strategic Plan for 2016-2020 at the LSRCA's annual general meeting Friday, Jan. 22, in the York Council Chambers. • Create an Action Plan with the development industry and municipal and provincial partners to advance smart, sustainable community building and development in three years. • Develop a Watershed-wide Carbon Reduction strategy in five years. Initiate an applied social innovation research project to advance collaborative engagement in two years. • Harmonize with neighbouring Conservation Authorities in three years. The Authority’s 2015 Annual Report was also released at the AGM. It details highlights of the Authority’s achievements over the past year, including research findings, outreach efforts, and community-driven restoration projects. The LSRCA board also re-elected Aurora Mayor Geoffrey Dawe as Chair. Councillor Richard Simpson from the Town of Innisfil was newly elected to the position of Vice Chair. “During my time with LSRCA, I have been impressed with how the Board and staff respond to issues and challenges and look forward to my expanded role,” Simpson said. In the photo: Aurora Mayor Geoffrey Dawe (left) was re-elected to Chair of LSRCA for another year. Innisfil Councillor Richard Simpson was elected as Vice-Chair. With files from LSRCA. Photo courtesy Lake Simcoe Region Conservation Authority.